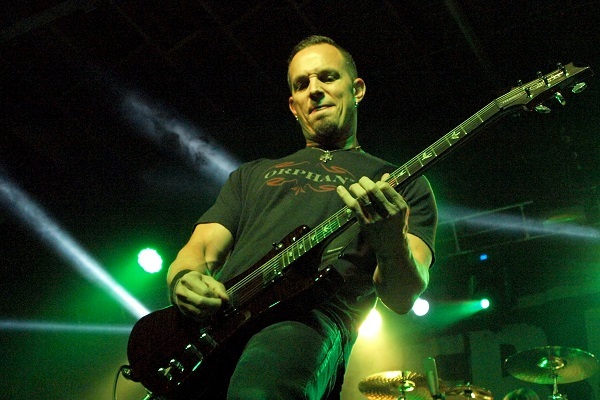 Tremonti is gearing up to release a new album, “A Dying Machine,” and the Mark Tremonti-fronted group has debuted the title track from the collection. The song comes in at six minutes long and offers a hard-hitting-yet-melodic take on Tremonti’s characteristic heavy guitars and pummeling rhythms. Watch the song’s lyric video below. The new song is the first bit of music off “A Dying Machine.” As for what to expect from the new release, “A Dying Machine” is a concept album that “takes place at the turn of the next century where humans and fabricated beings called ‘vessels’ are trying to co-exist,” according to a release. Tremonti will be touring this year in support of “A Dying Machine,” including festival dates at Carolina Rebellion on May 4 and the Lunatic Luau on May 5. The guys will also play headlining shows May 2 in Savannah, Georgia; May 7 in Atlanta; and a record release show in Orlando, Florida, on May 12. In June, the guys will tour Europe, including dates opening for metal great Iron Maiden. More North American tour dates are expected to be announced in the coming weeks. For tour details and other information, visit MarkTremonti.com.